This blog started as a project for a class I’m taking at Northeastern University, where I’m pursuing a master’s degree in journalism research. 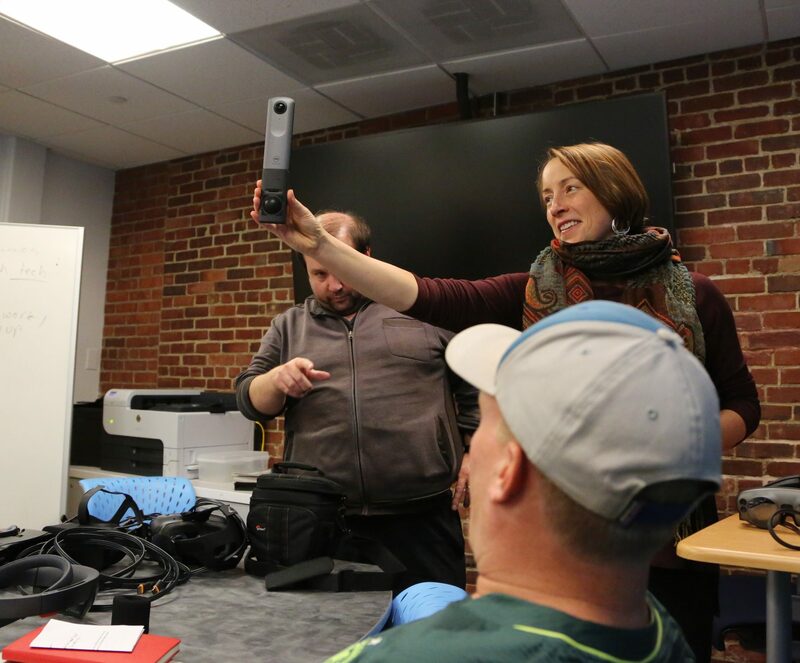 The course, called Reinventing the News, ponders how technology is shaping journalism. Despite our 8 a.m. meeting time, the room is packed with about 15 students. And only one of them is male. This bodes well for the numbers of women who will help shape journalism’s digital future, right? 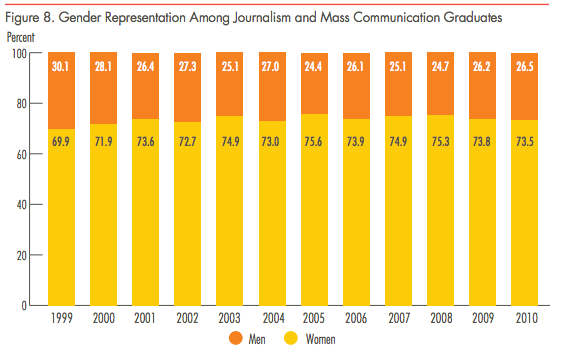 Women are, in fact, well represented in journalism schools and mass communication programs, according to a recent report from the Women’s Media Center. Since 1999, about 70 percent of students have been female. women have consistently been underrepresented in occupations that determine the content of news and entertainment media, with little change in proportions over time. 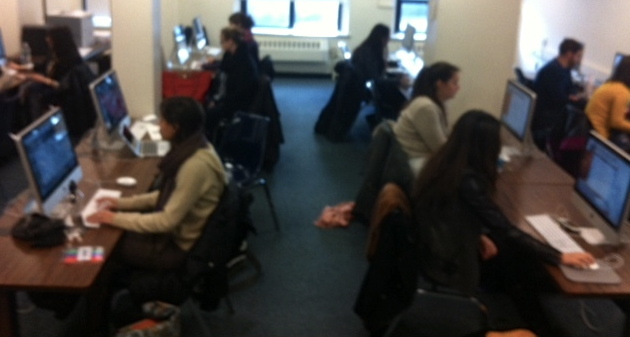 In 2011, about 40 percent of newspaper editorial employees were female, just 3 percent more than in 1999. The same percentage of TV news staffers were female, although they made up the majority of producers, reporters and anchors. In radio, just 29 percent of the workforce is female.